Plant placement, proportions and scale – these three elements of a successful design are really straight forward, but often overlooked. They hinge on a certain level of understanding regarding plant height and spread at maturity. These design principles also require you to incorporate clusters, sweeps and groupings of plants that look natural together with a succession of bloom all through the year. When I start a design, I think about where the bed is going to be viewed. Is it from the street? Is it from the living room? Will I want to view it from different vantage points? This helps me frame the landscape. 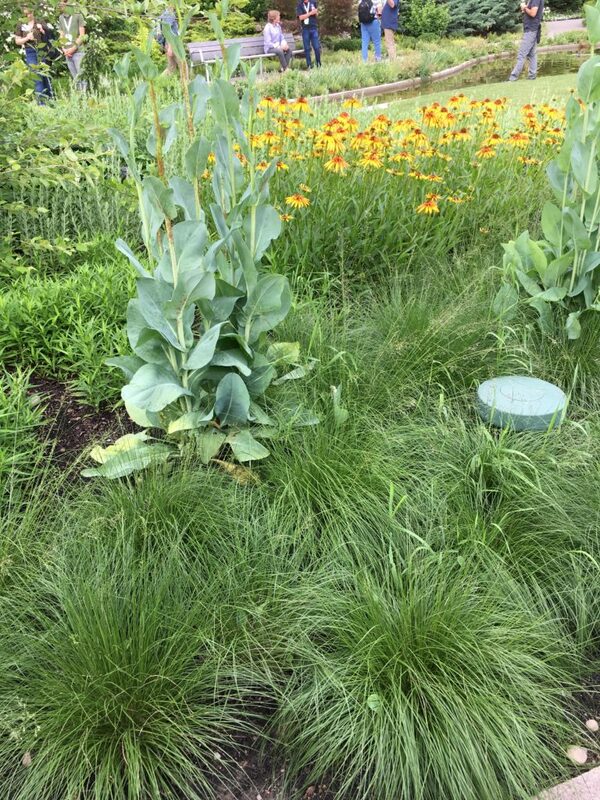 For instance, if you have a foundation planting, you would obviously put the taller plants in the back working down in layers to the smaller plants along the border/edge of the bed. If you were designing an island planting that would be viewed from both sides, I would plant the taller plants in the center with shorter plants spaced around the central focal point. It seems obvious, but we don’t always think about sight lines. Another element of effective plant placement is bloom time. 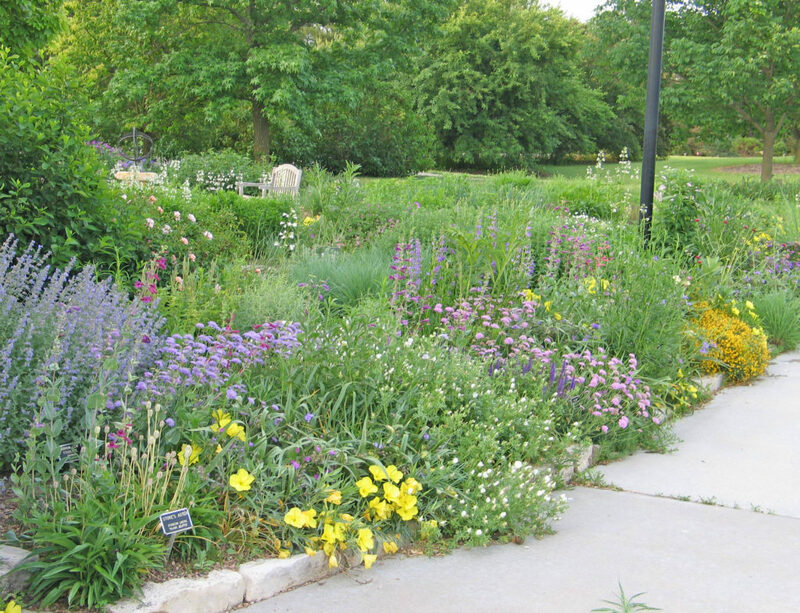 With native plants, you need to think about succession of bloom. You want to have plants coming into bloom and going out of bloom throughout the year. Don’t plant two spring blooming plants next to each other, but rather plant a spring blooming wildflower next to a grass or later season blooming wildflower. By incorporating plants that have color at varying times, you have something interesting happening year-round. I don’t always observe or think about proportion and scale until it is too late. The beds you design and the plants you include should look appropriate with the size of your home or the size of the flower bed. As a general rule, I include plants that are no larger than half the bed width. For instance, if your area is eight feet wide, try to find plants that are no taller than four feet. Sometimes, smaller beds are all we have to work with, such as the small area between a sidewalk and your home. Maybe it is only three feet wide. Don’t try to put plants that are four to five feet all in that space. It will flop onto the sidewalk and look out of place. 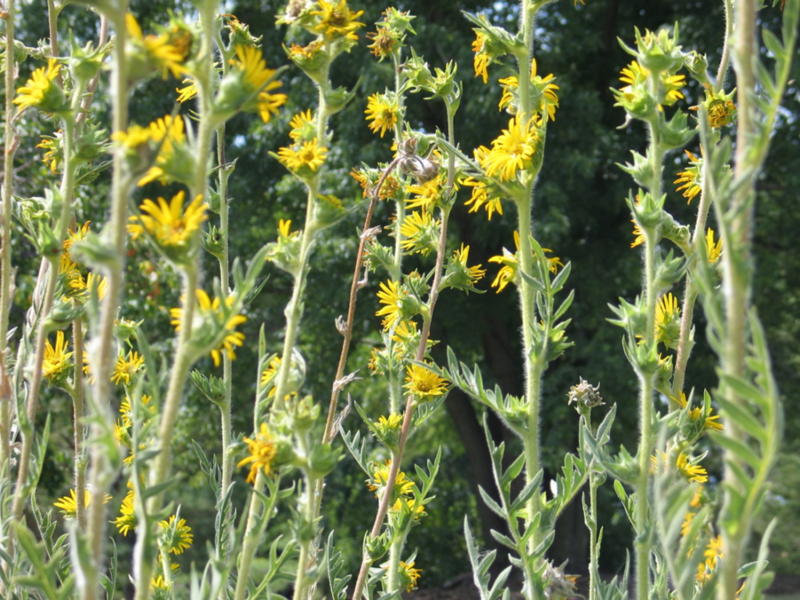 Compass Plant is a beautiful wildflower that gets eight feet tall. It is out of scale in a smaller space. Give it room to grow. If you are starting from scratch, lay out a garden hose away from your foundation. Take note of the gentle curve around your home. I like to have at least four to six feet of width to work with. That gives you so many more plants to choose and include in your design. On the corners, I like to give myself a little more room of maybe up to 10-12 feet. This allows larger plants to be combined to soften the corner. You probably have a picture in your mind of what you want to frame the views and keep it simple. A garden that is too busy and out of proportion detracts from your home rather than complementing it. Again, it is important to know how tall and wide each of the plants will grow. I like to include plants that will fill in the spaces available to them. 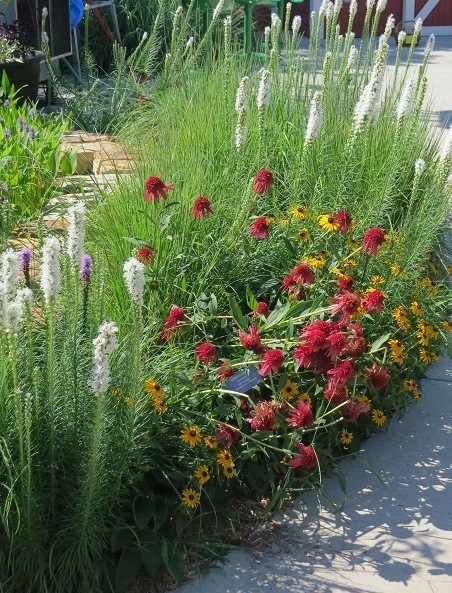 Really think about the plants you want to have near sidewalks, windows, patios, and porches. You don’t want to be continually cutting them back when they have outgrown the space. It sounds so simple, but these are the design principles I struggle with the most. There is so much to consider with each design, from site analysis, plant habit and bloom times, textural elements, and so much more. We can’t have it all, but a basic understanding of scale, proportions and plant placement will help you create a successful design. Now is the time to get started. If you need help, we will be happy to work with you during our remaining Native Plant School classes or at the FloraKansas Native Plant Festival.